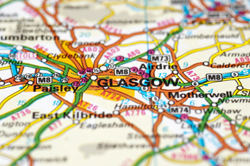 Freight logistics is a major industry sector in Scotland, employing around 5% of the Scottish workforce yet it is a sector which is largely invisible to most of the Scottish population. Young people, in particular, are unaware of the job and careers opportunities which the sector could hold for them. The result is that the age profile of the logistics workforce is heavily skewed towards older age groups and employers face difficulties in attracting younger people, especially school leavers, into the workforce.